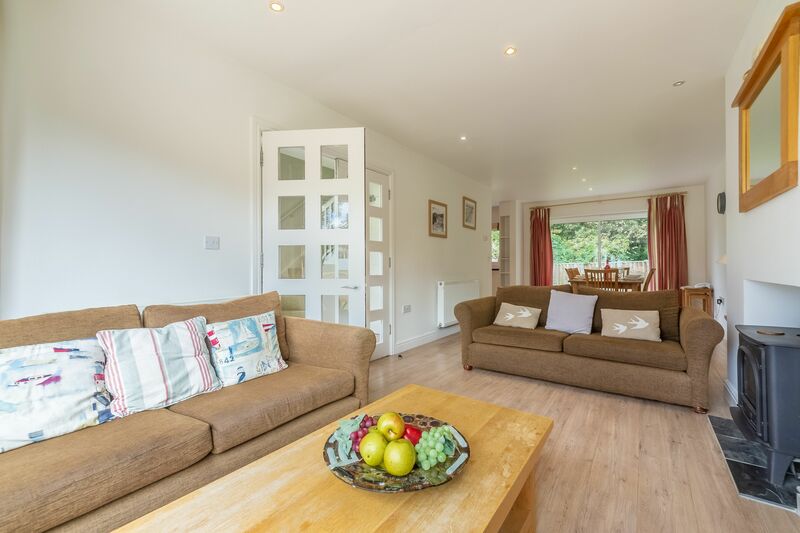 Enjoy some quality time together as a family, relaxing in the open plan living room in front of the ornamental wood burning stove. 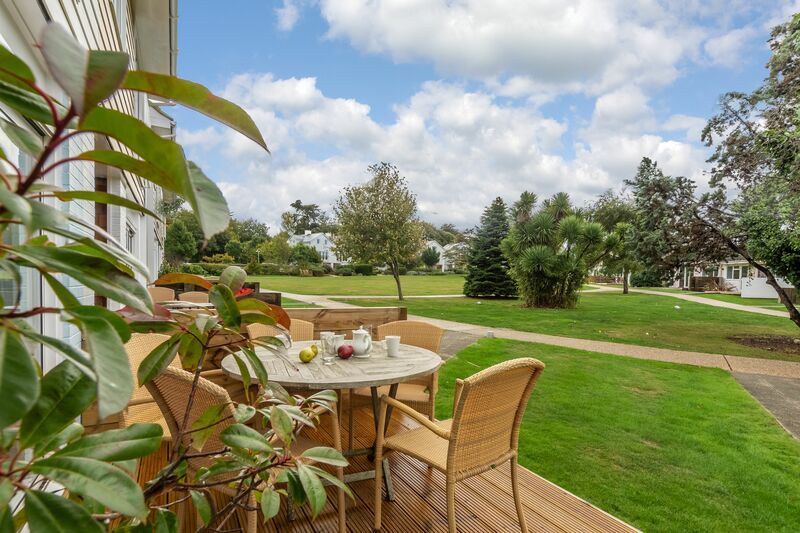 Or carve out some time as a couple, letting the little ones play out on the green beyond while you enjoy a drink on your patio. 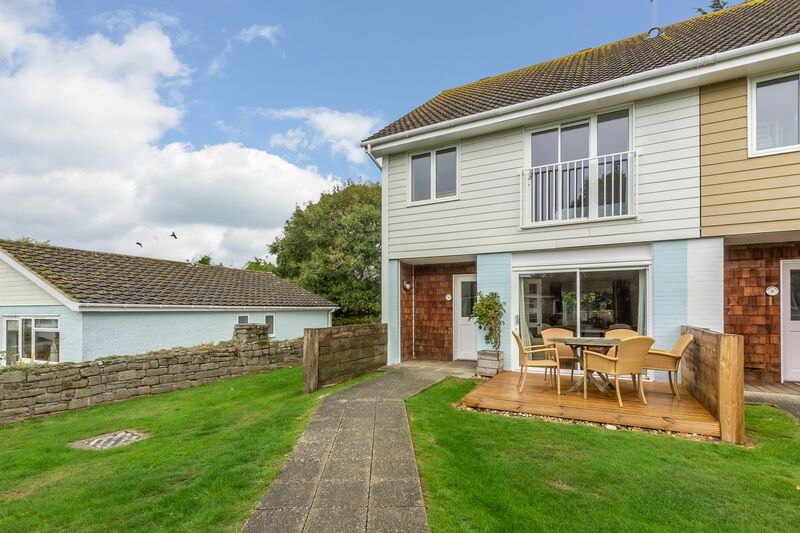 This three-bedroom, two-storey house lets you do your family holiday your way. 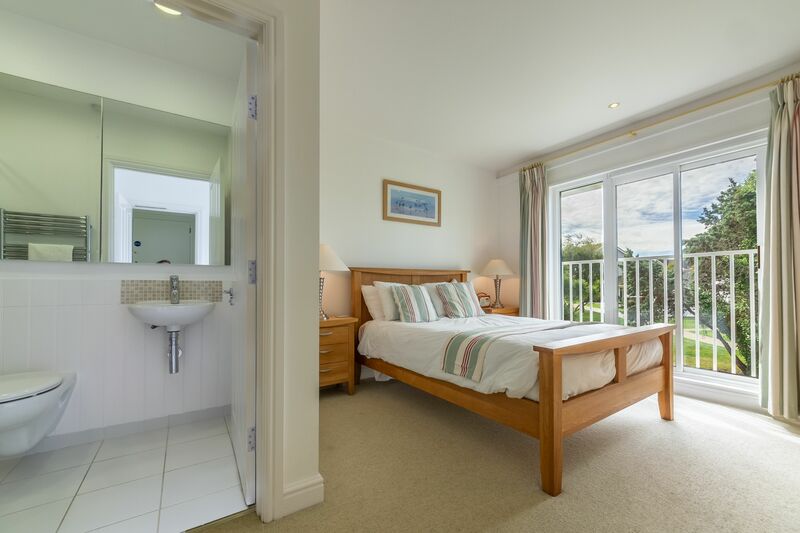 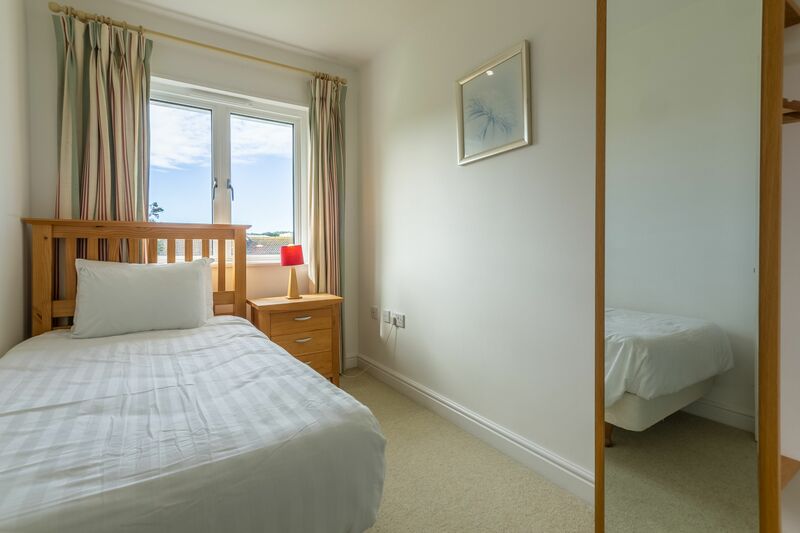 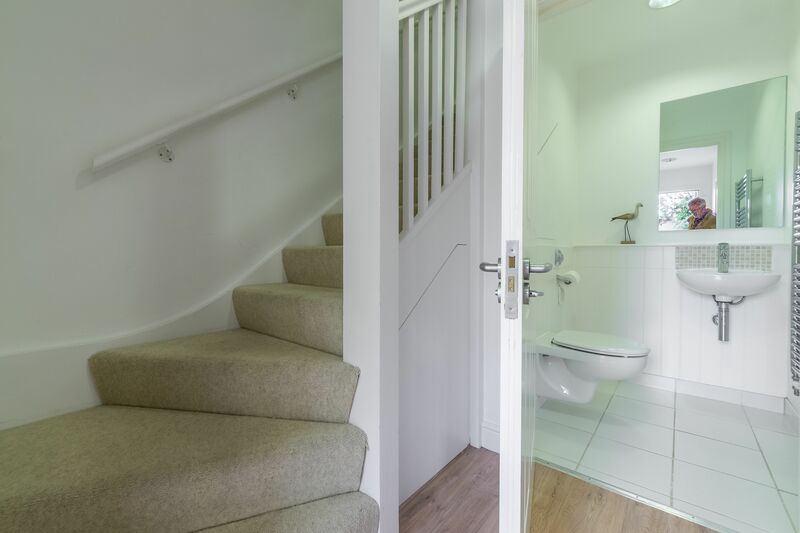 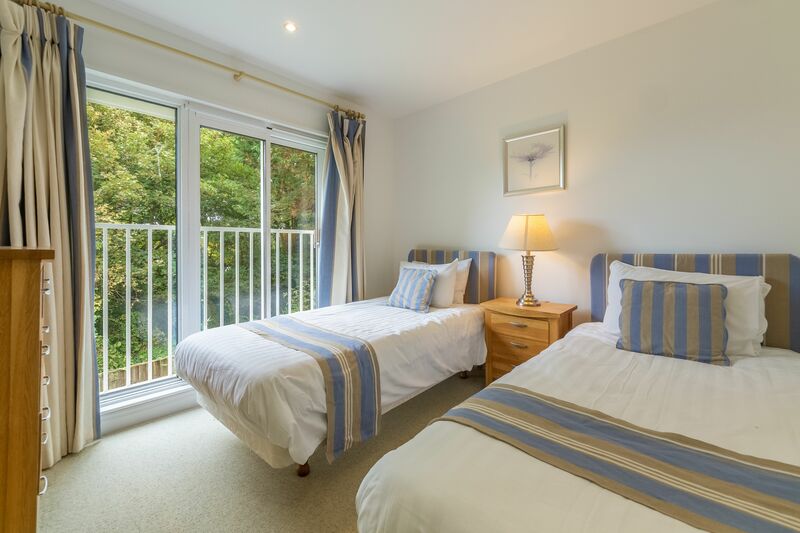 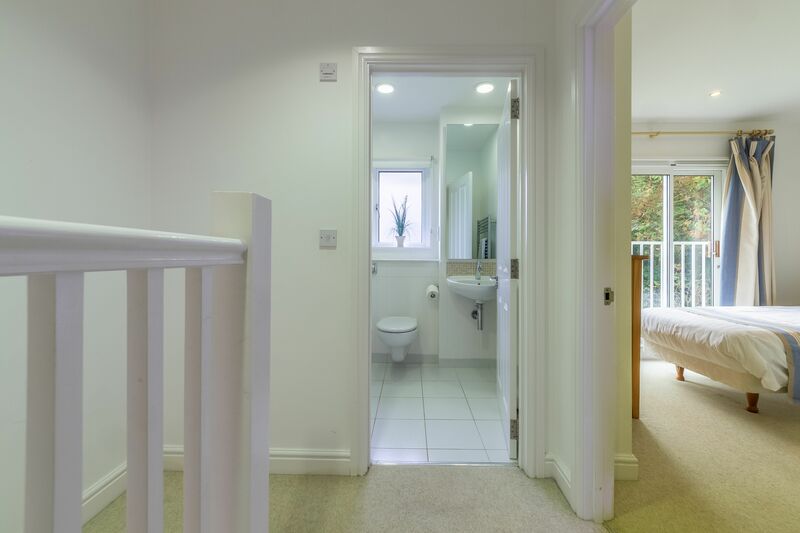 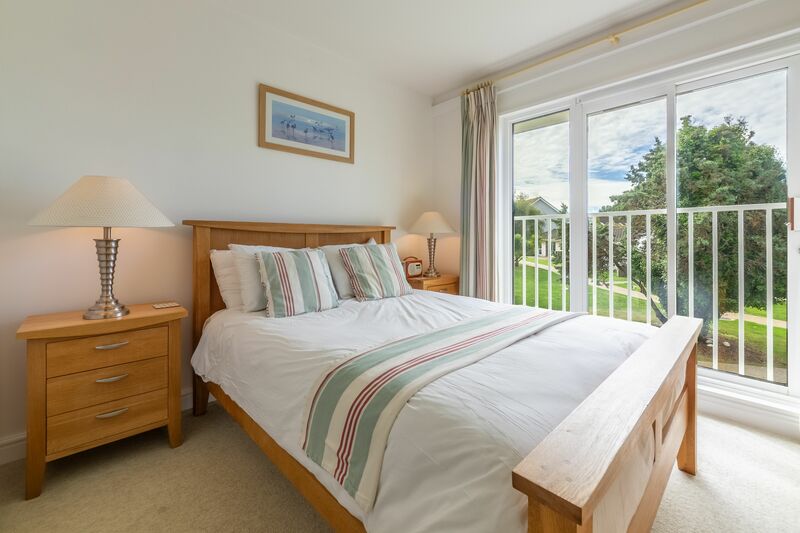 Upstairs, the main bedroom has a double bed with a TV, a window with balcony railings and an en-suite shower room, while a second bedroom has twin beds. 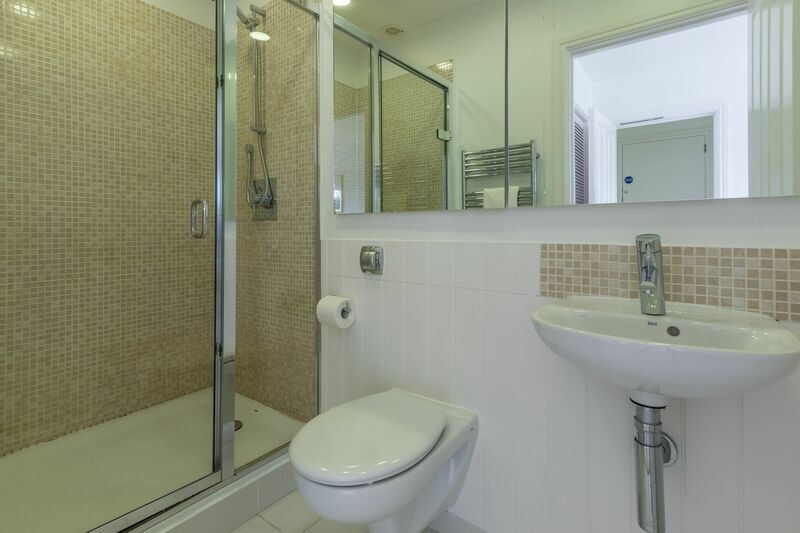 There’s a single bedroom too, along with a family bathroom with a shower over the bath. 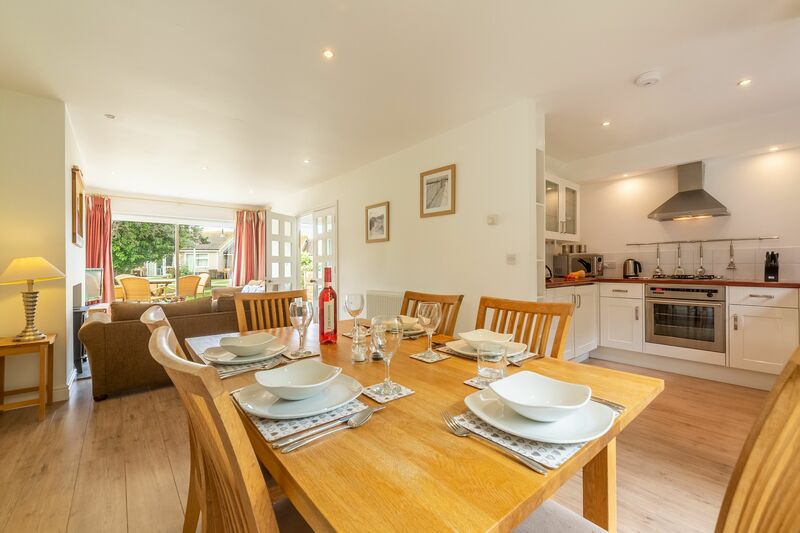 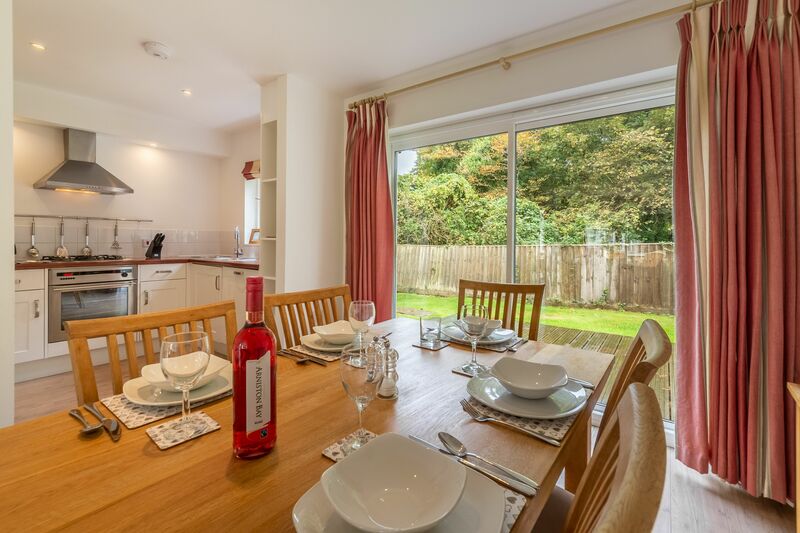 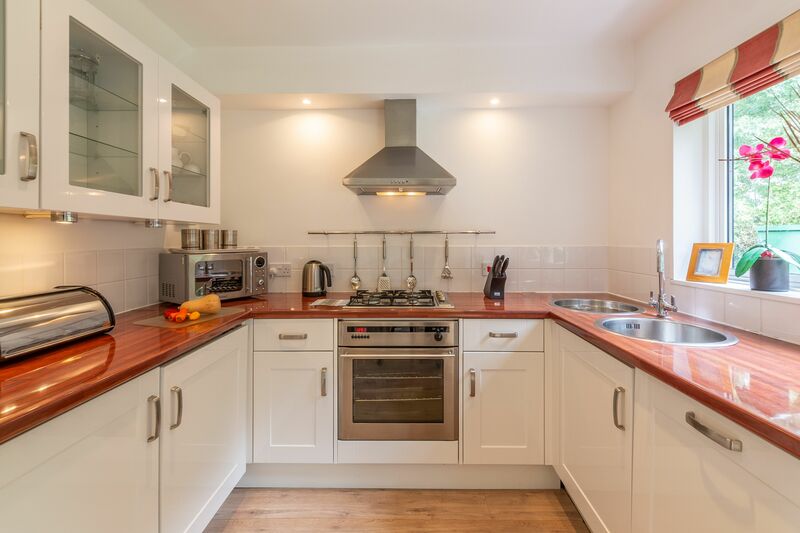 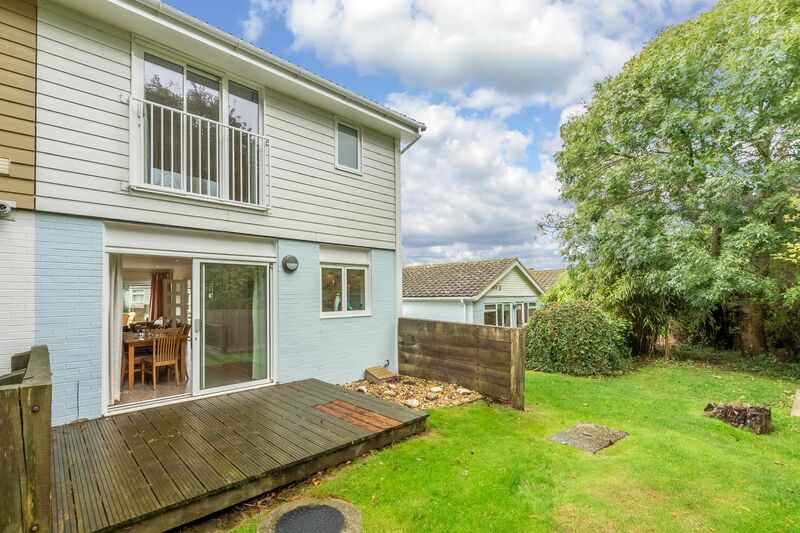 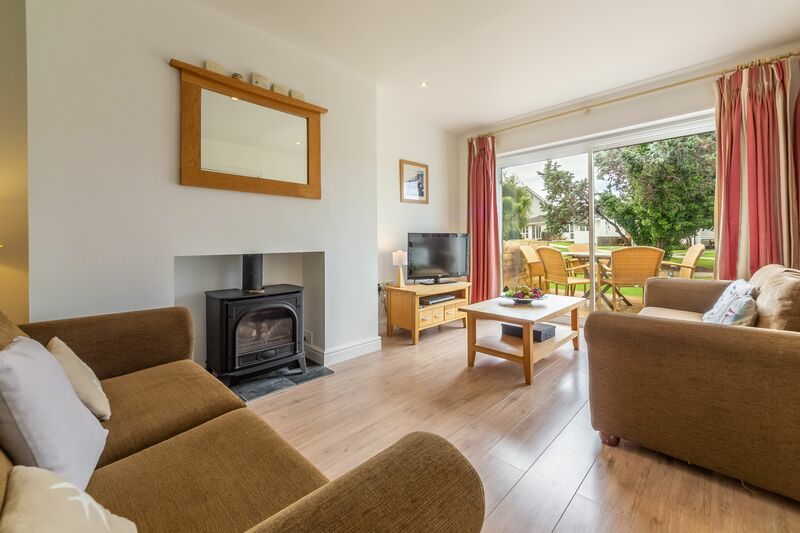 Tastefully furnished throughout, and with two patios to choose from, this is a holiday home designed for you all to enjoy.